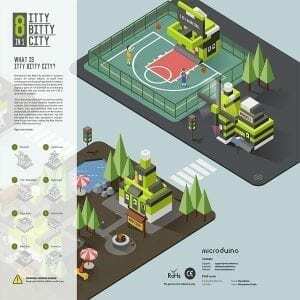 Why Do Parents Love Microduino? Most parents love Microduino products because they know the world is a far different place than it was just a decade ago. Especially when it comes to their kids’ involvement with technology. By the age of three, most children have a pretty good understanding of smart phones, tablets and computers. And, there are so many other intelligent devices and technologies in homes and educational environments. Many kids become instantly mesmerized and attracted to anything electronic. At Microduino, we believe maintaining and fostering children’s natural curiosity is a must. As much as parents love Microduino, we know it is sometimes a challenge for them to direct their kids to the “right” kinds of technology. Kids want to know how things work. The ability to think critically and problem-solve are skills they will use for a lifetime. Meaning success in their academic, personal, and professional lives. That’s where Microduino comes in. Microduino understands these critical needs, as well as the nuances of a child’s natural curiosity and the importance of ongoing science, technology, engineering, and mathematics (STEM) education. With that in mind, Microduino has specifically designed its products and in-classroom instructional systems to create a real STEM learning ecosystem. Incredible fun, excitement and the ability to engage with our products is what motivates kids to want to learn more. Microduino’s portfolio of STEM education products build children’s self-confidence and improve their problem-solving and critical-thinking abilities. Additionally, parents love Microduino because our products enhance communication and teamwork skills; and, most importantly, cultivate a keen interest in STEM disciplines. Designed for children ages 5 and up, mPuzzle is a collection of easy-to-use, snap-together magnetic components that teach basic electronic circuitry concepts. With mPuzzle, children come to understand how things work by seeing cause-and-effect relationships and outcomes. 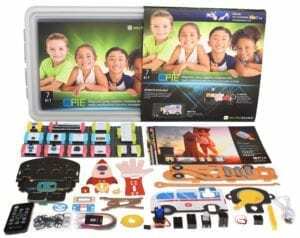 Designed for children ages 7 and up, mPie builds upon mPuzzle’s foundational circuity lessons and hardware components to teach kids introductory hardware coding and more advanced electronic and product design concepts. The mCookie Series eliminates the need for messy wiring by making electronics easily connectable. With the magnetic stackable design it is truly as simple as snapping pieces together! Messy wiring, breadboarding and soldering is completely eliminated!